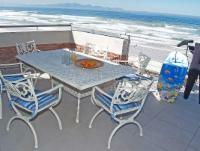 Whale Watchers brings you this north-facing, 2 bedroom apartment on the 1st floor of the Empire Building in Muizenberg. 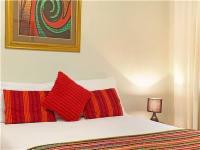 Enjoy mountain views from a large balcony,fully equipped kitchen, DSTV and Free WiFi. Guests walk across the courtyard onto the beach. Whale Watchers Properties brings you this lovely one bedroom fully equipped self-catering apartment. It is situated on the 2nd floor of the iconic Empire Building on the Muizenberg Beachfront, within walking distance to the centre of Muizenberg. Whale Watchers Properties brings you this lovely one bedroom fully equipped self-catering apartment. It is situated in the heart of Muizenberg, just off the Muizenberg Beachfront. Within close walking distance to the beach and in the center of town. With partial mountain and sea views, this spacious luxury apartment has a large bedroom, a fully equipped kitchen, a lounge, dining table, and a small balcony with barbecue facilities, It offers a bath and shower plus separate toilet. This apartment features panoramic sea and mountain views from the living room and enclosed balcony. The fully equipped kitchen includes a washing machine, oven, fridge/freezer, microwave, kettle, toaster and coffee plunger. Whale Watchers Properties brings you this superor luxury penthouse apartment. Located on the top floor of the Empire building, this 3-bedroom penthouse has panoramic sea views from three private balconies, a lounge and 8-seater dining room table. Whale Watchers brings you this stunning and cozy single bedroom apartment right next to Muizenberg Beach. Fully equipped open-plan kitchen with spacious lounge walks onto a sunlit patio. Located in the famous Empire Building on Muizenberg Beach.